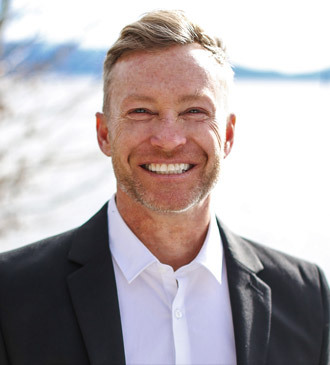 Working with David Gemme to purchase a Tahoe property has been a very rewarding experience. He was a superb partner for our quest. Our requirements were somewhat non-standard. We were not looking for a run-of-the-mill property, but rather a property that had very particular requirements,likely to be satisfied by only a handful of existing properties. Our mutli-year search for a superb Tahoe property began with a snow shoeing expedition into a property in the dead of winter. While we chose not to pursue that opportunity, David’s intrepid suggestion that we snow shoe to the property set the tone for our engagement. No obstacle would stand in our way. In subsequent months, we toured easy-to-get-to properties, and others under more unusual conditions. Ultimately we located a property that represented a great opportunity to purchase a lake front property. The opportunity had some unusual conditions, all of which we worked through, achieving the necessary clarity and confidence to make an offer. David’s assistance in sorting through those complex conditions created immense value. While other potential buyers perceived ambiguity and risk, we were able to secure the property on superb terms. We couldn’t be happier with our purchase, and look forward to many years of family gatherings at Tahoe. We highly recommend David and his team. His inexhaustible energy, good will, and commitment to our vision generated a superb outcome. "My wife and I worked with David on the purchase of our house and in addition, I have worked with him on a couple of referral situations. I am a licensed... continued"